Great for post dated or cancelled business size checks! Organize checks. 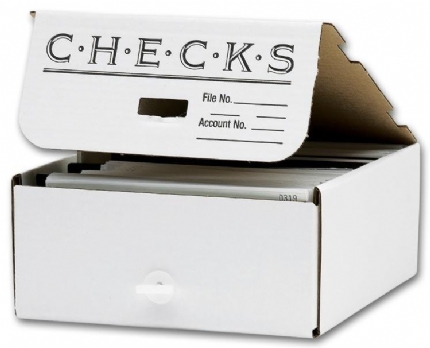 White box includes 12 individual dividers that can be used to divide each months checks and has a are outside the box to identify its contents. Will hold up to 9 inches of checks.